I have created 2 new juice cleanse programs for you. And even more exciting? You don’t have to lift a finger to follow them. No juicer, no blender, no grocery lists. I’ve partnered with Real Juice to create 2 Healthful Pursuit Approved cleanse programs, using their fresh-pressed, locally sourced, organic juices. Doing a juice cleanse every couple of months resets your body by eliminating toxins, reducing your sugar intake and boosting your intake of dark, leafy greens. In the end, your immunity is boosted, you vibrate with energy and your metabolism soars to new (awe-inspiring) heights. 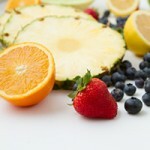 The Fruitful Cleanse is a perfect beginners cleanse. I designed it as a mild program for people who want to experiment with cleanses but aren’t interested in extremes. This cleanse is ideal for Healthful Pursuiters who liberally enjoy food and feel like their bodies need a bit of a rest. The Fruitful Cleanse provides you with an efficient balance of nutrients to detoxify your body, while maintaining balanced energy throughout the day. The Fruitful Cleanse includes six juices per day. The juices contain enough fat and calories to ensure that you stay on top of your daily activities and commitments. The Power Cleanse is extreme. I designed it for Healthful Pursuiters who eat relatively balanced day in and day out and are looking to clear out the system and refresh their digestion. The Power Cleanse eliminates most carbohydrates, fruit and sugar from your diet, providing your body with around 1200 calories per day. Despite the reduction in calories, each juice was carefully chosen to provide you with the energy you need to get through your day… but taking it easy won’t hurt. The Power Cleanse includes six juices per day. The juices encourage a strong detox throughout every cell in your body, restarting your system from the inside out. More energy:: the digestive system gets a break, so that energy used for breaking down solids is free to heal, repair and restructure your body. Clearer skin:: when the colon is bogged down with too much build up, it shows up on your skin. Clearing your digestive tract can make your skin glow! Ideal weight:: this shouldn’t be your main intention for embarking on a cleanse, but juice cleansing supports your body in finding its groove and matching your metabolism to get you there. Re-establish your relationship to food:: since you won’t be having solid food, this is a great time to see what surfaces when we aren’t able to have our favorite comfort foods. Jotting down in a journal is a great way to see what comes up for you. Improve immune function:: it is said that our immune function is correlated with our digestive system. When we detox our digestive system, our immune system strengthens. Share your cleanse experiences and stories! If you’ve been on a cleanse before:: was it something you would do again? 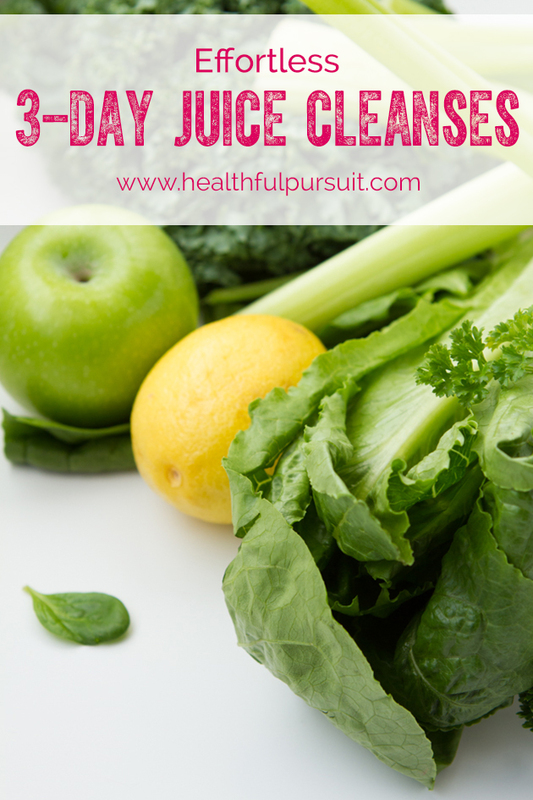 If you have not been on a cleanse before:: what things are holding you back? This post was sponsored by Real Juice. All opinions expressed herein are those of Healthful Pursuit Inc. and are not indicative of the positions or opinions of Real Juice. Thank you for supporting the brands that I believe in and choose to feature here.